ACCENTS: Anywhere from around 3/4TCW, depending on the size of the ring and stones. The listed price is for a Cross Wedding Ring in Sterling Silver with CZ. Contact us for other pricing options. 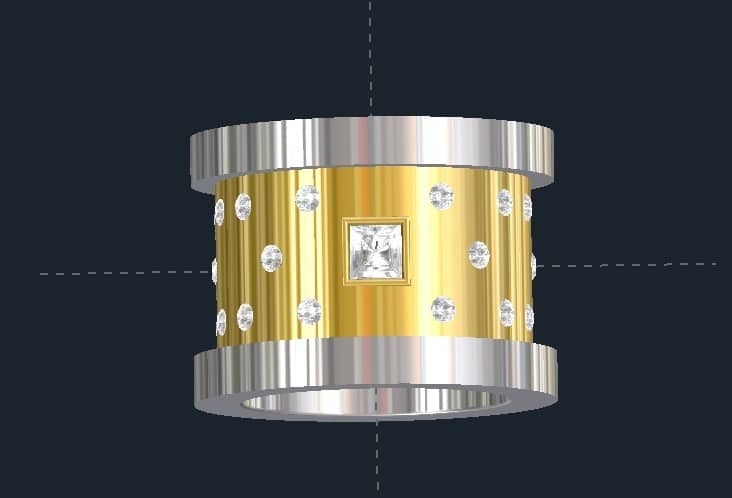 Click HERE to see another custom wedding ring or contact us with your ideas for 2 Tone Cross Wedding Rings. 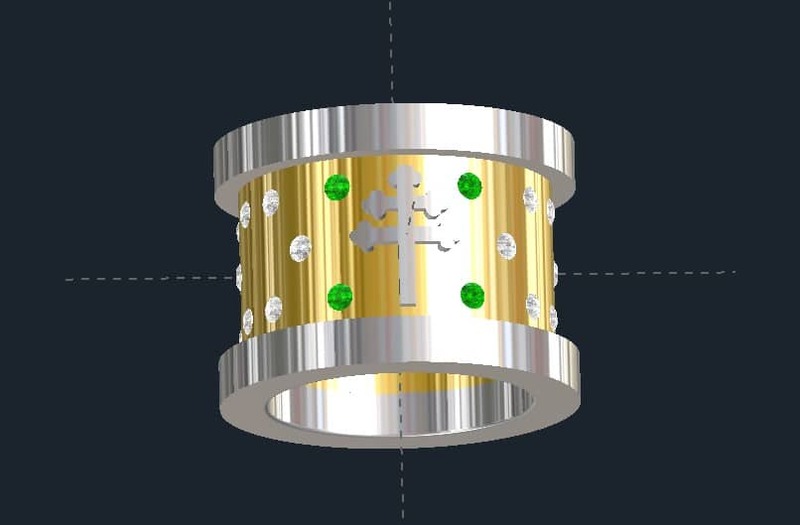 Click HERE to learn more about custom jewelry, to see our portfolio, or to contact us about 2 Tone Cross wedding bands. It can cost less than you think to have your very own custom wedding ring made just for you. Why hassle with the retail stores for boring and overpriced engagement rings?